The Young and the Restless Spoilers: Daniel Goddard’s Mystery Tweet Suggests Y&R Exit – Cane Leaving GC? The Young and the Restless spoilers tease that Cane Ashby (Daniel Goddard) will be at a crossroads. He has been in complete turmoil over the state of his marriage to Lily Ashby (Christel Khalil). Lily filed for divorce, and Cane has been determined to make things right with her and save his marriage. He’s currently refusing to sign the divorce papers and wants to seek Lily’s forgiveness. But Y&R spoilers indicate that Lily just isn’t going to agree to a reconciliation. Lily simply couldn’t cope with the fact that Cane had cheated on her again. Although Cane was only guilty of kissing someone outside of his marriage this time, it was the last straw for Lily. Plus, the experience of being in prison has changed Lily, and when she gets released early for good behavior, she wants to start a new chapter in life…without Cane. But that won’t keep Cane from trying to woo Lily back. According to Y&R spoilers, Cane will set up a special spa surprise at the house to pamper Lily and show her how special she is to him. 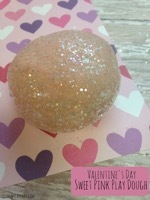 Lily will be appreciative of his gesture, and she’ll see how hard he’s trying, but she just won’t be feeling it. As far as Lily’s concerned, their marriage is done, and she’ll set Cane straight. It certainly looks like Lily is going to start over somewhere outside of Genoa City, which makes perfect sense considering reports that Christel Khalil may be leaving Y&R. She’s been on recurring status for a while now, ever since Lily’s been in prison, but the character’s decision to leave Genoa City suggests that we won’t see much (if any) of Lily going forward. But what about Cane? Without Lily, and with the twins dividing their time between himself and Lily, what’s next for him? He doesn’t seem to have much of a storyline without Lily, and he desperately needs a direction for his post-Lily days. 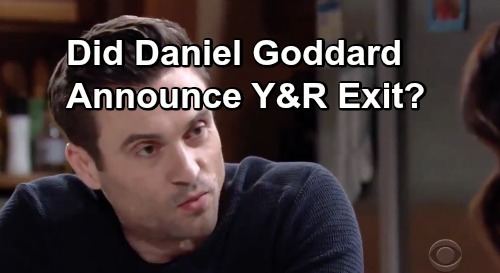 We should also note that Daniel Goddard recently tweeted something that indicates that he could be leaving Y&R, or perhaps dropping to recurring status. Daniel’s very active on Twitter and is good about keeping his fans apprised of what he’s up to professionally and in his personal life. He recently tweeted the following message: “Life has been so good to me, but sometimes…you just have to turn the page and move on… #yr.” As you can imagine, some fans have read into this tweet that Daniel may be leaving Y&R. Add to this that Daniel recently sold his home in Calabasas, California, and it’s got fans worried that we may be seeing the last of Cane. Fans have responded to Daniel’s tweet in droves and they have been hoping that his tweet means something other than Daniel’s departure from Y&R. One fan said: “I believe it’s referring to the end of ‘Cane and Lily’…but you never know in soap land.” Of course, until an official statement is announced by Daniel Goddard, we won’t know for sure about what Daniel’s tweet means. At any rate, if Daniel is remaining on Y&R, then we’ll see some big changes for Cane going forward. He’ll have to face life as a single dad without Lily in his life, and eventually he’ll need a new love interest. It will certainly be interesting times for the character. What would you like to see for Cane going forward? Stay tuned to the CBS soap and don’t forget to check CDL often for the latest Young and the Restless spoilers, updates, and news.